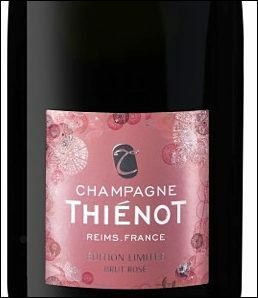 Champagne Thiénot has unveiled its first exclusive limited edition bottle for its Brut Rosé non-vintage. The bottle is described as being enveloped in a luxury and feminine pastel pink label to resonate with this year’s fashion trends. The label features Japanese-inspired motifs of delicate flowers and bubbles to “encapsulate the care-free ambience of the summer season”. A co-ordinating cooling jacket echoes the colour and design of the limited edition label. Garance Thiénot, MD for Champagne Thiénot, comments: “This is our first limited edition design for Champagne Thiénot Brut Rosé non-vintage and we wanted to create an inspirational and chic look which would lend a touch of summer to any bar or table. We are confident that this limited edition will resonate with Champagne fans in the UK who will be seduced by its elegance, great taste and fashionable appearance”.